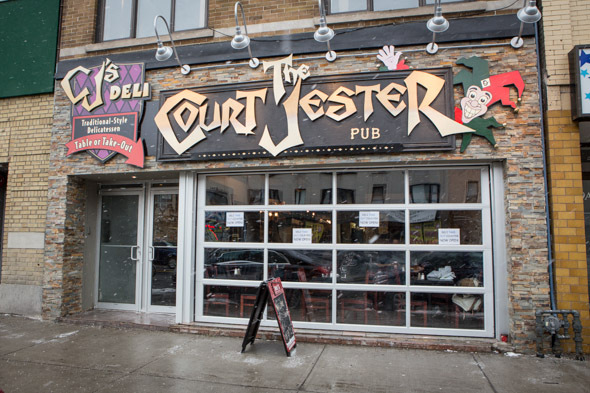 The Court Jester Pub has been a mainstay on the Danforth for almost 20 years, and has now slid over from its original address to the east side of Pape where Zorba's used to be. The newest incarnation opened in December, and while owner Lawrie Kaplansky has preserved the same vibe, he's also introduced a new concept, an intertwined side-business called CJ's Deli. 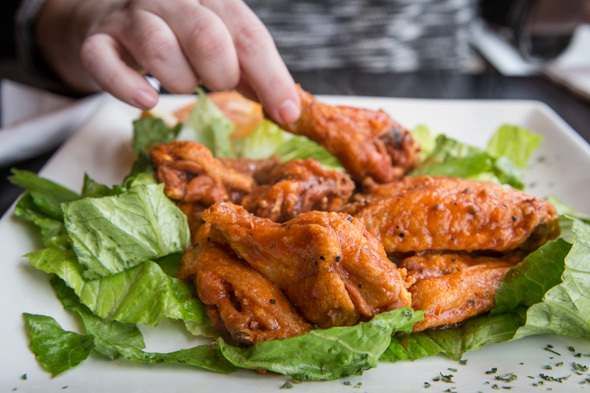 There is really no division between the two concepts - diners can order a pint with a pile of nachos or a smoked meat sandwich off the same menu. The new walk-up deli counter aims to attract the lunch crowd and locals in the market for take-out. A few tables positioned upfront will benefit from roll-up garage doors that fully open to the street in the summer, but further back, past the kitchen, the cavernous bar room is dimmer and dominated by a familiar pubby vibe. Arcade games, darts and TVs provide welcome distractions, but it's the 16 draught lines featuring both imported and domestic beers ($6.60-$7.90 per 20oz pour) that are most popular attraction. A corner of the menu is devoted to various smoked meat sandwiches while the rest of the menu benefits from the addition of an onsite smoker and is peppered with deli staples like smoked chicken matzah ball soup, grilled salami and latkas in flavours like quinoa, kale and spinach, or smoked salmon with spinach. The smoked meat on rye ($9.95) features a thick stack of warm, thinly sliced meat sandwiched between fresh bread. The mustard selection (Dijon or French's yellow) aren't nearly as novel as elsewhere in the city, but this sandwich isn't really about bells and whistles. I can't help but appreciate how basic the flavour of the meat is, it's more briny than smokey and I like the thin slippery slices marbled with fat and layered up high. When it comes to pickles the thick new dills spears are on point. My biggest kvetch with the deli is the absence of a good soda selection - cherry Coke does not suffice in place of Cott's or Vernors. Stick to beer. 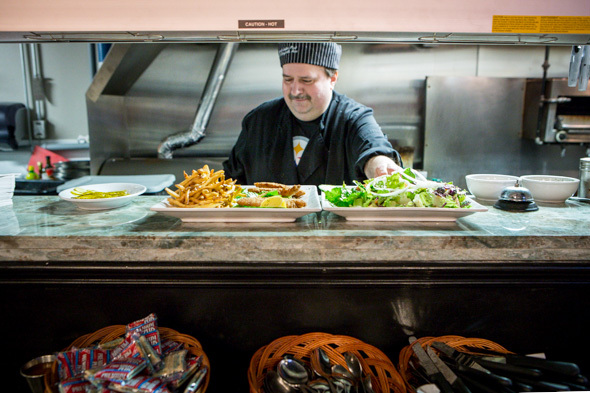 Aside from deli sandwiches, the menu covers the classic pub fare that The Court Jester has always served; lots of apps, burgers, some hearty comfort food entrees. 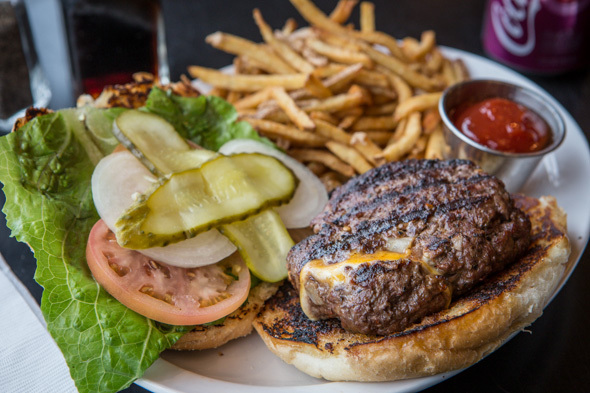 One new addition is the 8oz Jester Burger ($12.95), advertised as being stuffed with cheese. It looks promising when presented, though the gooey cheese has mostly escaped the patty and it doesn't deliver on the promise of a oozing cheese centre. 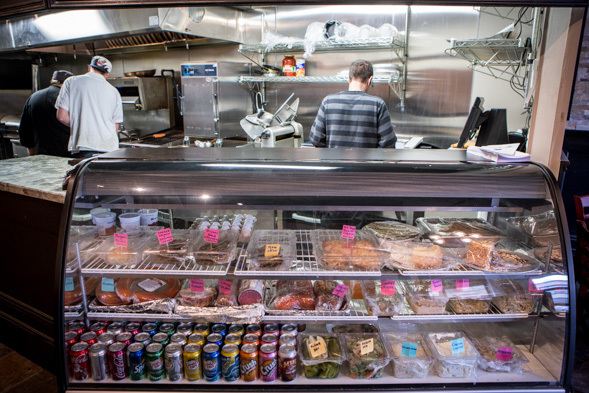 Breakfast is a available daily from 11:30am to 4pm, while the take-out deli window operates until 8pm. 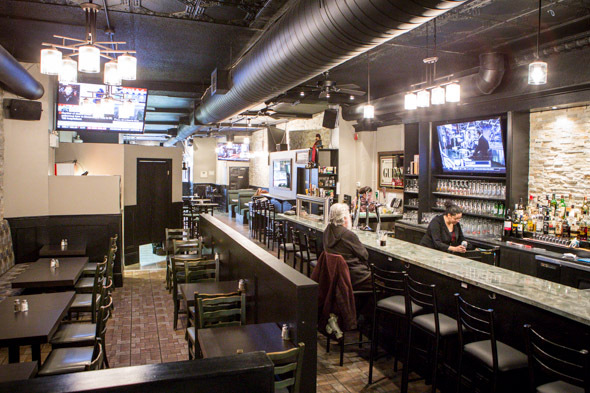 Pub patrons can order from the kitchen until at least midnight if not later on weekends, and a standard selection of board games are available by request.